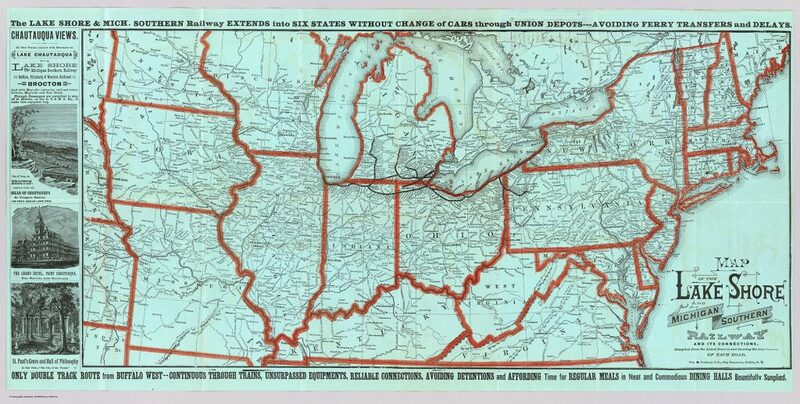 The Lake Shore and Michigan Southern main line stretched from Buffalo to Chicago by 1857. It would become the backbone of the New York Central in the 20th Century. 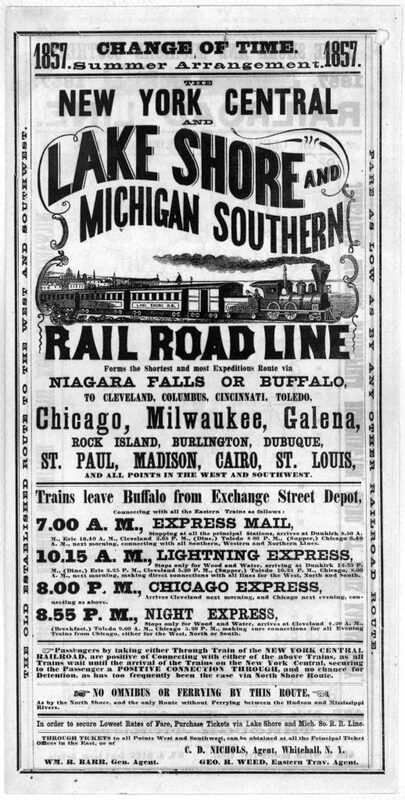 The line at this time went through Adrian Michigan which was fast becoming the major railroad hub of the area. Adrian had a large locomotive facility with a large roundhouse and backshop with transfer table. The Adrian Car Company sat adjacent to the LS&MS facilities and was a major producer of railroad cars. 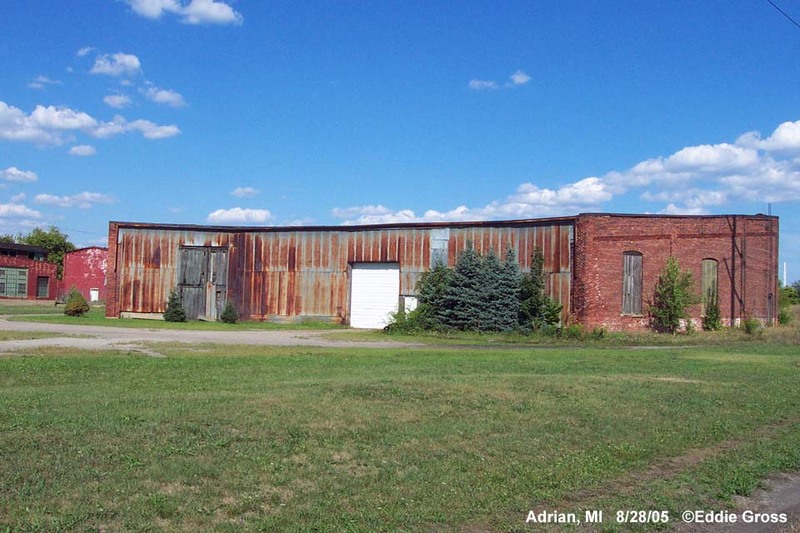 About 1880, the Peninsular Car Company acquired the Adrian Car Company at Adrian, Michigan, south of Detroit. The image below is from an 1866 view of Adrian MI. The route through Michigan and Adrian was double tracked into the 20th century. Even so Adrian rail facilities were slowly reduced in favor of Elkhart and Toledo. The southern route shaved off 30 miles so this became the preferred route for through freight and passengers. 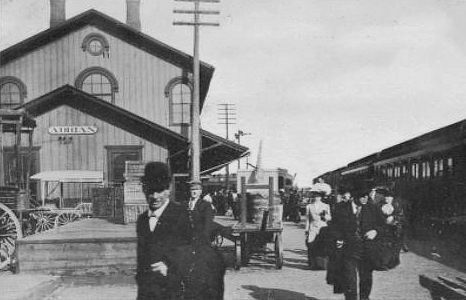 The 1870-80 railroad industry decline resulted in the loss of about 1,000 jobs in Adrian when the total population was only about 8,000 people. Very little remnants of Adrian’s railroad days still remain. After the Adrian Car Company moved out of Adrian (after being acquired by the Peninsular car company) J. Wallace Page invented the first successful wire fence. The old car shop area was used for wire fence production. Adrian was one of the first fencing manufacturers in the world and its fences were shipped as far as New York, Berlin, Asia, and Africa. This revitalized the community after the railroad declines. All of the old car shops and the original roundhouse is gone. A later brick round house was built but it is just a shadow of its former self and is in disrepair. I have (but I cannot share here due to copyright issues) a diagram of the LS&MS facilities and yard from about 1880. The diagram shows how the LS&MS had shops which included several machine shops, a transfer table, large round house and backshops. It also shows how large the Adrian Car Works were and where they were located. Today the property has been subdivided and sold so several businesses are in this area. The Adrian and Blissfield Railroad owns the rail yard and main line through Adrian. They have also built a new engine house. Using this old map as a guide, I have marked the locations of the shops, Adrian Car Co and the original LS&MS Depot on the map below. 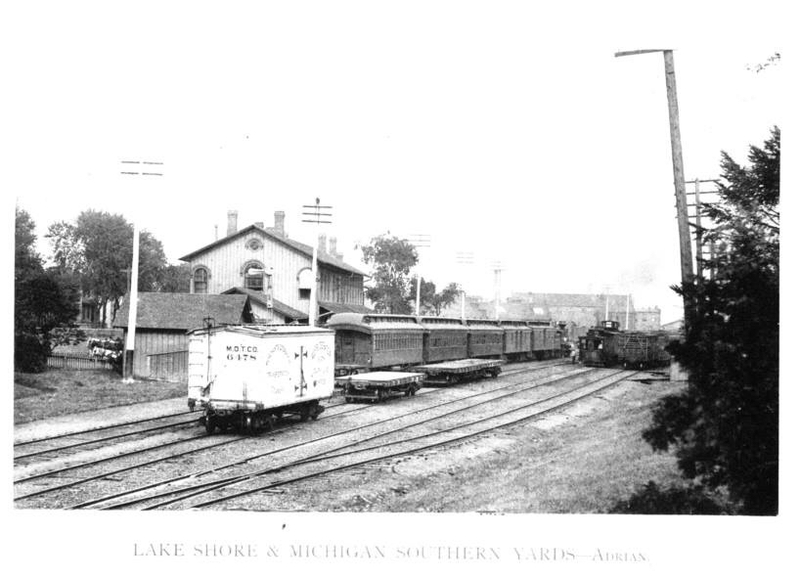 The area south of the tracks (where Jackson Iron and Omni Source are located) was the LS&MS yard area. Several service buildings and a Standard Oil depot were also located in this area. 1890’s Adrian LS&MS Yard looking East. The buildings in the distance would be the LS&MS shops and the former Adrian Car Company buildings. For a look inside the old LS&MS brick roundhouse so the blog at http://www.nailhed.com/2014/12/yo-adrian.html. With the roof failing and the one wall falling in, this roundhouse may not be with us much longer.